Dr Jekyll and Mr Hyde, originally uploaded by alister. 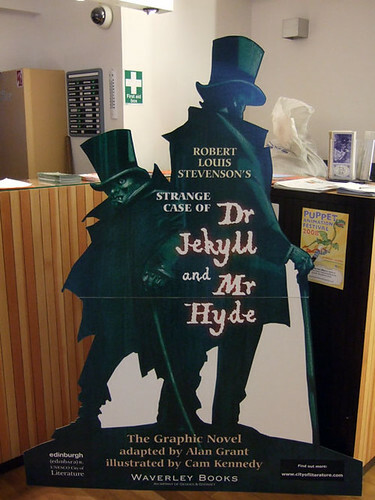 The classic novel is being promoted in Edinburgh with free copies in libraries and a special graphic novel edition. Plus translations into Scots and Gaelic. What a brilliant idea. Robert Louis Stevenson is a local author although this work is set in London, a London which closely resembles Edinburgh! It all kicks off tomorrow morning. Check the City of Literature site for more details.